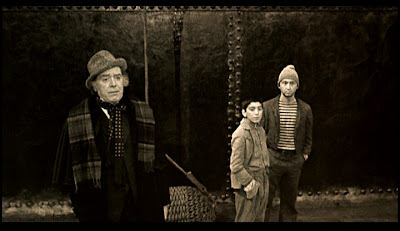 In my opinion, And the Ship Sails On was maestro Federico Fellini’s last great masterpiece. Sadly, the legendary flamboyant auteur’s later films are, for the most part, a disappointment. 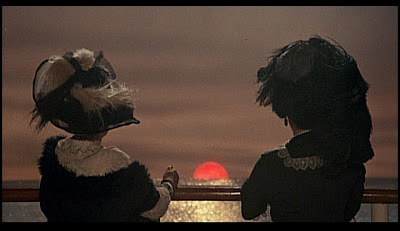 And the Ship Sails On captures the last bit of Fellini’s magic before his death less than a decade later. The film stands alone in style to all of Fellini’s other films. No surprise when considering Federico Fellini went from directing Italian Neo-Realist films to surrealist magic shows. And the Ship Sails On follows a narrating Italian journalist on a cruise during the eve of World War I. The ship is filled with pretentious aristocrats, bourgeois snobs, and a smelly depressed Rhinoceros. And the Ship Sails On acts as a satirical commentary of the old European aristocracy. Federico Fellini makes no lie of his distaste for their royal dehumanization. The bourgeois in And the Ship Sails On live a meaningless life of unimportant conflict and contrived melodrama. Maybe Fellini thought World War I and the destruction of the European aristocracy was a good thing. The set design of And the Ship Sails On is intentionally artificial looking, reflecting the personalities of the individuals featured in the film. During the films conclusion, Fellini even goes as far as showing himself directing the film and revealing the lavish indoor studio set. 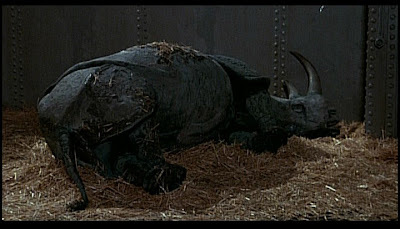 The Rhino featured in And the Ship Sails On has an indescribable aesthetic appeal that made me more caring of his life than the majority of characters featured in the film. An amazing shot of the Italian journalist and the Rhino in a small boat further confirm Fellini's eye outrageous and heartwarming(yep) situations. The Europeans are on a cruise to mourn the death of a famous Italian opera singer. Their sentiments are obviously for show as Fellini purposely points out. Serbian refugee eventually board the ship resulting in disgust from the pretentious bourgeois. I wonder if Fellini puts blame on the Austro-Hungry aristocracy for the Serbian assassination of Archduke Franz Ferdinand. Fellini was always a man capable of making the most bland of souls full of wonder. And the Ship Sails On is a film that has yet to acquire the praise that his earlier masterpieces received. The postwar (of both wars) European film industry, in my opinion, produced the greatest film directors the world has ever known. 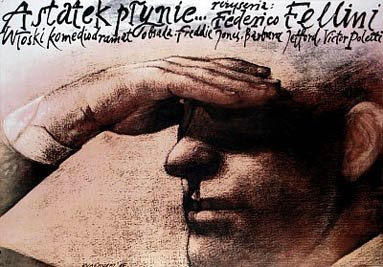 The world will never see another Federico Fellini, F.W. Murnau, or Ingmar Bergman. Thankfully their films still exist for viewing today.